Everyone is invited to our 4th of July Celebration!!! Wednesday July 4th. Chairs, picnic tables, swimming pool, boat slips, ice, gas and refreshments will all be available. Over 1 acre of shady tent camping on the water front is available with restrooms and showers. The swimming pool will have extended hours to 9 pm. NO lifeguard on duty. 4th of July Poppers for ALL the kids: FREE from 6 to 8 pm. 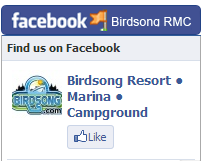 On behalf of the staff at Birdsong Resort, Marina and RV Campground; THANK YOU! We appreciate all the fishermen, families and organizers. Please come back next year – Bob Keast, 2nd generation family owner since 1961. Birdsong Resort, Marina and Lakeside RV Campground is a 58-acre recreational complex that has been operated by Bob Keast and family in the true sense of southern hospitality as a second-generation owner since 1961. “The best part of fishing and hunting is the camaraderie….away from the daily grind and enjoying the greatest of the outdoors which is one of God’s gifts to man. Relax and enjoy the largest man made lake in America, Kentucky Lake in western Tennessee,” is Bob’s theory. 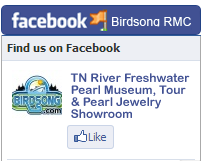 America’s Heartland reports on Fresh Water Pearl Farming at Birdsong. CLICK HERE to see their report.